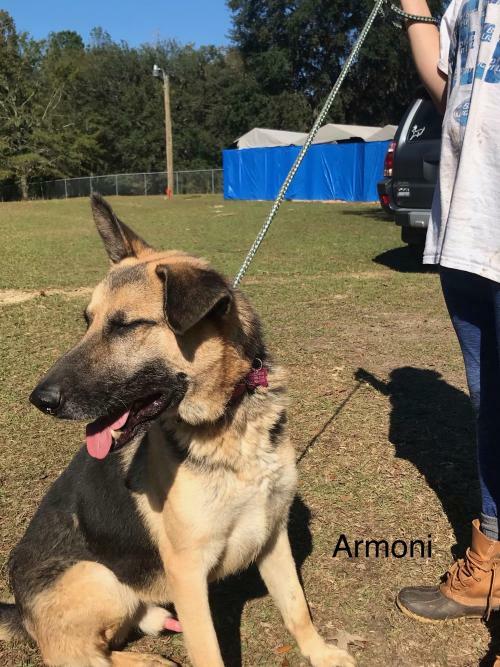 Armani came to us from Calhoun County. We are not sure of his history before he came to us. Armani would be best as an only companion as he loves the attention all to himself. We have not cat tested him but can upon request. Armani enjoys a nice walk and being with his person! He is great with kids and everyone he meets and is such a sweet Loyal protective companion! He is what I would call a "velcro" pup who likes to always be where his person is. He does not have separation anxiety but just likes to keep an eye on you! If you have no other dogs in the home and you are just looking for a nice family dog who will be loyal loving and just soak up that attention then Armani is your boy! He has such a fun spunky personality!